Lately, as part of my book project on modern Zen autobiographies, I’ve been reading up on the notion of “religious experience.” The 20th-century Zen Buddhist authors I’m interested in talk about experiences a lot, particularly unusual experiences linked with prolonged stays in Zen environments. And these Zen Buddhists are not alone. For a lot of people nowadays, experience seems to be the goal and core of religions, A lot of conversion narratives, for example describe a life-changing experience that is beyond the ordinary, whether it’s the Holy Spirit manifesting in your body, finding your Buddha nature, or becoming one with the world. But, contrary to commonly held ideas, this notion of “religious experience” is of very recent provenance. According to Ann Taves, it was only during the latter half of the 19th century that the term started to be used to describe an encounter of sorts with Divine. In Methodist meetings, where the word began to be used, people were called to experience the Holy Spirit inside them. This was a new usage of the word. Before then, “experience” meant “experiment,”in the sense of phrases such as “experience teaches us that…” and “an experienced teacher.” What happened in the Methodist congregations was the “experience” was used to describe an individual encounter with what was perceived as the supernatural. 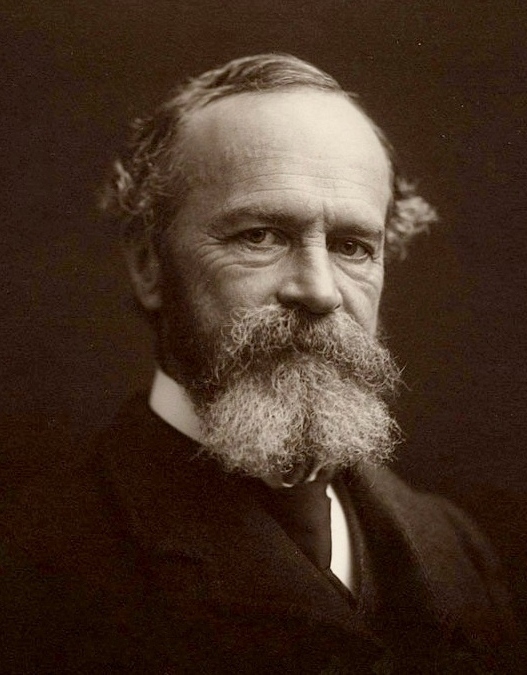 It was William James, the famous American pragmatist philosopher, who popularized the notion of religious experience pioneered by the Methodists and generalized it as a feature of all religions. In the classic Varieties of Religious Experience, James proposed that religious experience was the essence of religion itself (as opposed to, for example, rituals, doctrine, or institutions, things James saw as complementary at best). Proposing that such experiences could be the subject of scientific inquiry, James laid the foundations of the modern study of religion, and his preference for experience still marks this field of study today. I remember that night as I walked back from the monastery to my quarters in the Kigen’in temple, seeing the trees in the moonlight. They looked transparent and I was transparent too. Upon examining his young student, Suzuki’s master affirmed that his pupil had attained an insight into the nature of reality (the Japanese Zen term is kenshō). But, as Robert Sharf has famously shown, Suzuki’s scholarly presentation of Zen owes more to his later reading of James’ Varieties than to the Zen literature it purportedly represents. More than anything, Suzuki’s usage of the term “experience” to characterize the essence of Zen betrays this influence: the traditional Zen texts don’t use this term, as East-Asian languages simply did not have a word for what we call “experience” before the concept was translated from European languages. But there’s an alternative: one could also argue that experience only exists within the words, the discourse, we use to talk about it. A good comparison here would be the concept of justice: a lot of people talk about justice, but few would presuppose that justice exists independently from discourses about justice. Justice only exists as a creation of words, it does not refer to any material phenomenon. It is the latter position that has gradually become the orthodoxy in the field of religious studies. In a much-cited essay published in the beginning of the 1990s, Joan Scott argued that scholars of the humanities and social sciences had become too reliant on the concept of experience, and that they had become blinded to the fact that experience is itself constructed. In response to the linguistic turn in the humanities (which basically was a movement towards a distrust of language in the wake of the work of Jacques Derrida and his followers), academics were faced with a major problem: if language cannot be trusted, how can we value the voices of those who are usually silenced (for example, women, queers, minorities)? The solution, Scott argues, was to anchor distrusted discourse in individual experience. Someone’s experience, it seemed, cannot be contested because it simply is the way the world appears to a given individual: “I feel this way, and no one can contest the way I feel because no one else can get inside my head.” (Similarly: “God exists because I have experienced His power”). Experience thus provides (or gives the illusion of providing) both authenticity (I speak from my own experience) and authority (I have seen this myself, I know about this personally). Thus, you get historical categories like “the female experience,” “the Jewish experience,” “the working-class experience,” “the Belgian experience” and (most frightening of all) “the human experience,” where one single category (female, Jewish, etc.) suppresses all other possible categories (the diverse lives of women and Jews throughout history) to allow both a unified similarity throughout time (women’s experience now is similar to that 100 years ago) and the authoritative identification of the historian with that experience (I am a woman, and thus I can understand the experience of women who lived 100 years ago). Scott claimed that by affirming experience and reproducing accounts of experience uncritically, historians had neglected their duty to question the conditions that produce experience as a category in the first place. Put differently: What counts as experience in a given moment of time? How was being Jewish/female… understood at a given moment in time, and how is that different from how we understand it in the present? Notice that questioning experience here entails questioning the role of historians in producing knowledge: now there is a stress on understanding how the historians are different from the subjects they examine, and how any analysis needs to be understood as an intervention, not as an objective statement of some “truth” that was founded in people’s “experience,” and which I understand because I share a feature with the people I examine. The category experience is, in essence, a mere place-holder that entails a substantive if indeterminate terminus for the relentless deferral of meaning. And this is precisely what makes the term experience so amenable to ideological appropriation. Because religious experience is created by the discourse about it, that discourse can derive authority from an experience it itself has constructed. Notice how Sharf’s language here is that of deconstruction philosophy: if language for Derrida was a “relentless deferral of meaning,” religious experience brings an illusory halt to this deferral by constructing an ultimate “meaning” that lies outside of language and thereby gives language about it power, anchors it. Most mystical texts will tell you that what they talk about is really beyond description, and that words do it no justice. This rhetorical trick (which I think it would be for Sharf) basically makes your language immune to criticism: if people attack what you said, you can simply blame language. And you can then also point out that, since they haven’t had such experiences, they don’t know what they’re talking about. Both these moves are very common. In a slightly different study of experience’s involvement with ideology, Craig Martin has wondered why, exactly, William James’ writings are so popular among students taking his religion classes. His answer is that James’s privileging of experience and disparaging view of religious institutions fits capitalism perfectly. Whenever a religious institution makes a demand on us that conflicts with consumerism (say, by prohibiting you from having a credit card, or by urging you to give away your possessions), we say that the religious institution is corrupt (it is fundamentalist, say, or a cult) and does not really represent religion. Religion is at fault, never capitalism. Our personal religious experiences, in Martin’s view, are harmless exactly because they do not provoke social action or change. Thus, the increasing popularity of the equation “real religion = experience” needs to be seen within the historical context of global capitalism. The position of Sharf, Scott and Martin (and many others) can be characterized, using a venerable model by Steven Katz, as “constructivist.” A constructivist himself, Katz called those who believed in the objective, empirical reality of experience “perennialists”: like James, perennialists believe that religious experience is sui generis, that is to say religious experience exists by itself, for example as a feature of the human brain. The term “perennialist” is appropriate because underlying the sui generis idea is the notion that if experience is a thing all humans can have independent of where and when they were born, then underneath all various expressions of religious experience there must be a common, “perennial” core. No matter what the background of a religious experience was, a perennialist will say, the experience itself is similar to some degree to all other religious experiences throughout human history. It should not be surprising that perennialists reacted strongly to the constructivist questioning of the sui generis nature of experience, and the debate has not ceased despite the increasing orthodoxy of the constructivist position (see McDaniel 2018 for a recent contestation of constructivism). An interesting contribution has been that of Jeffrey Kripal, who takes seriously not only mystical experiences (unity with the divine, experiences of not being separate from the world, etc. ), but the whole gamut of paranormal phenomena found in religious texts and testimonies (see my previous On the Paranormal: Thoughts on the work of Jeff Kripal). Kripal believes in the reality of these experiences because, like Hori and Suzuki, he has had one of them himself. Yet, unlike some other perennialists, Kripal thinks the nature of such experiences lies beyond the possibility of analysis. Instead, he sees such experiences as a deconstructive force (but much more so than Derrida’s philosophy, which looks innocent in comparison). Synthesizing the perennialist and constructivist positions described above, Kripal thinks experience is both something in itself, and that it is also inseparable from narrative. It is a kind of narrative, a powerful one, but not one that can be conveniently manipulated for ideological purposes. It is a narrative that happens to people as much as it is governed by them, and it is a narrative that we do not understand at all. that, regardless whether it refers to an actual thing or not, the term religious experience is a very recent one, and that it therefore cannot be understood without thinking about modernity and capitalism. that experiences nevertheless “do work,” to use a super-vague academic term: the fact that the term is so commonly used to talk about things that happen in Zen practice implies that people find it useful to narrate aspects of their lives, and to connect their own lives to those of others, notably famous Zen Buddhist masters who lived centuries ago. Like Scott, I don’t think ditching the term “experience” is a good idea. It’s just too common in everyday usage, and I’m too sympathetic to work like Kripal’s to foreclose the possibility of perennialist comparison. But what I’ve hoped to do with this blogpost is give an idea of the challenges that even such seemingly everyday concepts pose when one wants to use them in scholarly analysis.